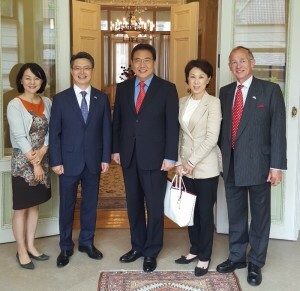 Korea-Britain Society President Dr Park Jin and his wife Sun-Hee were briefly in London in mid-June. Dr Park, a former Presidential Adviser and distinguished Assemblyman, has been a strong supporter of the British-Korean relationship for many years, and was awarded a CBE last year for his contribution. 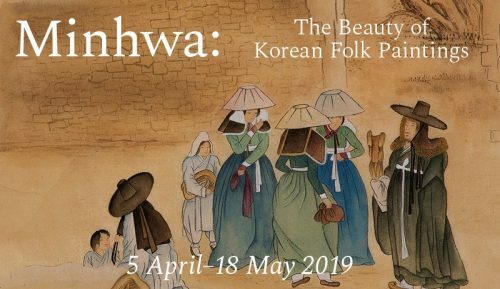 HE Mr Hwang Jin-Kook and his wife Shil hosted a lunch for them at their Residence and were kind enough to invite our Chairman Warwick Morris, who has known Dr Park and his wife for more than 20 years. As well as being an opportunity to discuss the upcoming Referendum, this was a chance to exchange views on the activities of the two like-minded Societies, and to consider what scope there might be for closer links between them.